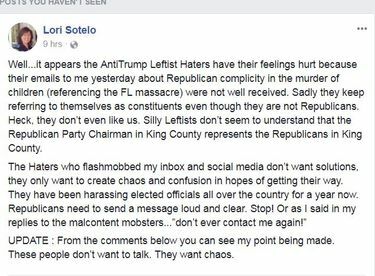 King County Republican Party Chairman Lori Sotelo attributed the controversy to "AntiTrump Leftist Haters" who "have had their feelings hurt because their emails to me yesterday about Republican complicity in the murder of children (referencing the FL massacre) were not well received." 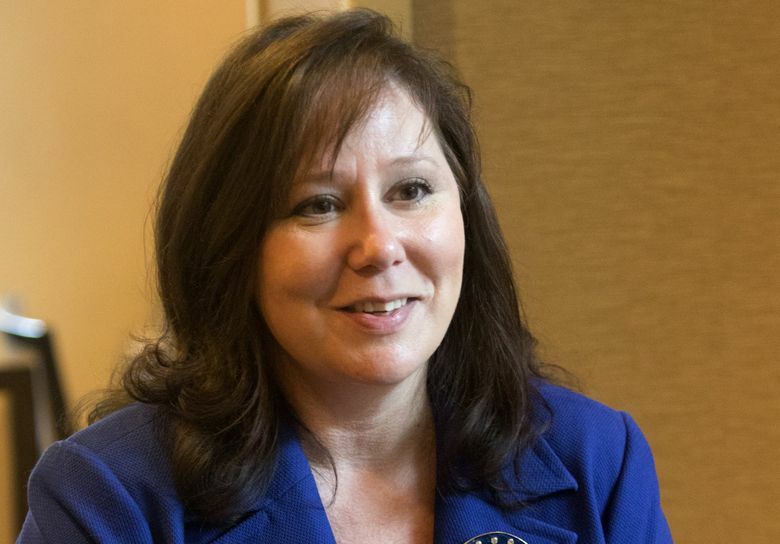 With emotions running high after another gun massacre at a U.S. school, King County Republican Party Chairman Lori Sotelo has landed in a social-media-driven controversy after her terse response to a gun-control advocate started to go viral online. It began when a woman emailed Sotelo on Thursday about the latest U.S. gun massacre, at a high school in Florida where 17 people died. 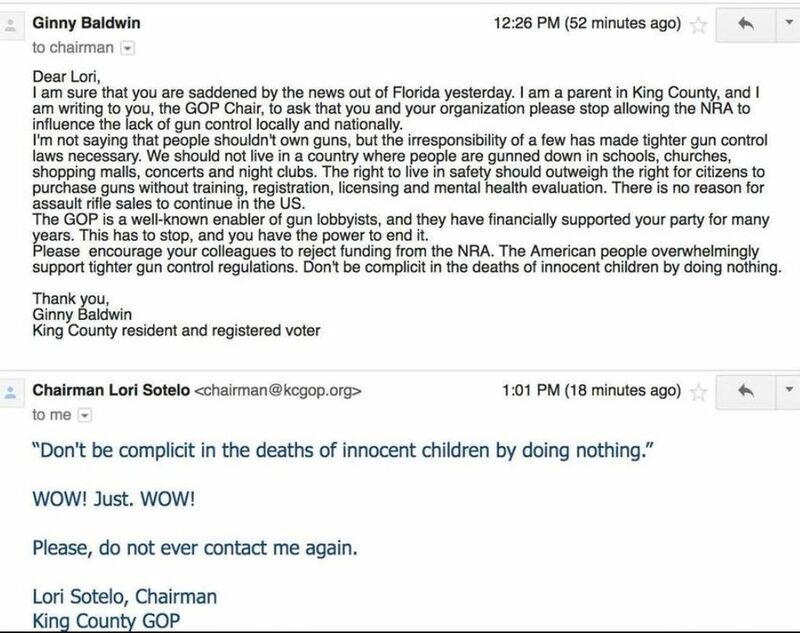 The woman, identifying herself as Ginny Baldwin, a parent in King County, asked Sotelo to stop allowing the National Rifle Association to influence gun-control debates through its donations to politicians. “I’m not saying that people shouldn’t own guns, but the irresponsibility of a few has made tighter gun laws necessary,” Baldwin wrote. That response soon started circulating on Facebook and in emails, with critics attacking Sotelo for what some called “shameful behavior” and an “unacceptable response” to Baldwin’s email. Some notified reporters and flooded Sotelo’s Facebook page and posted the phone number and email for the King County GOP office. Others defended Sotelo on Facebook and attacked her critics as rude.